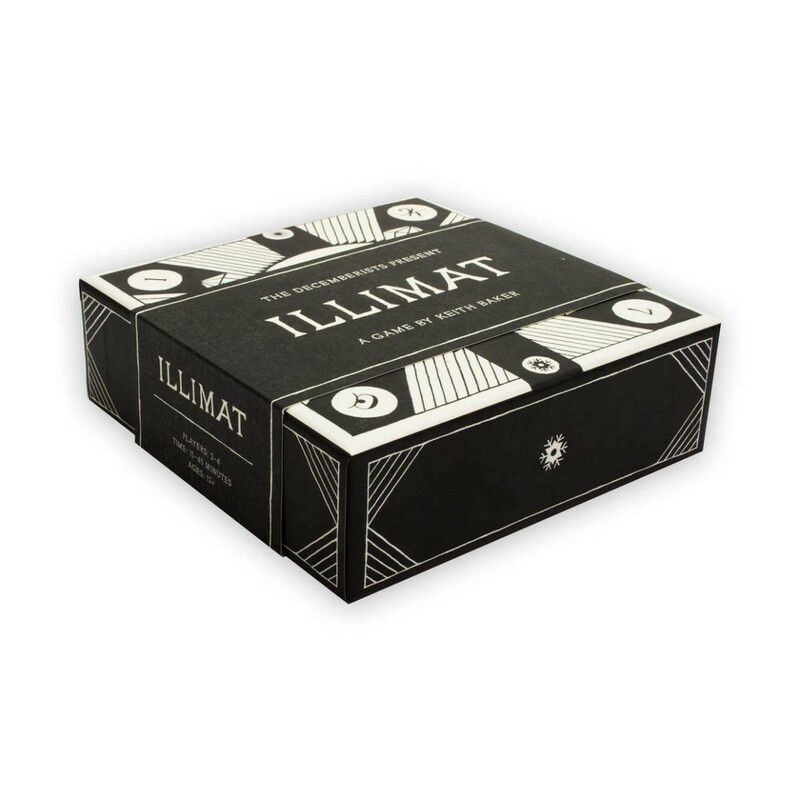 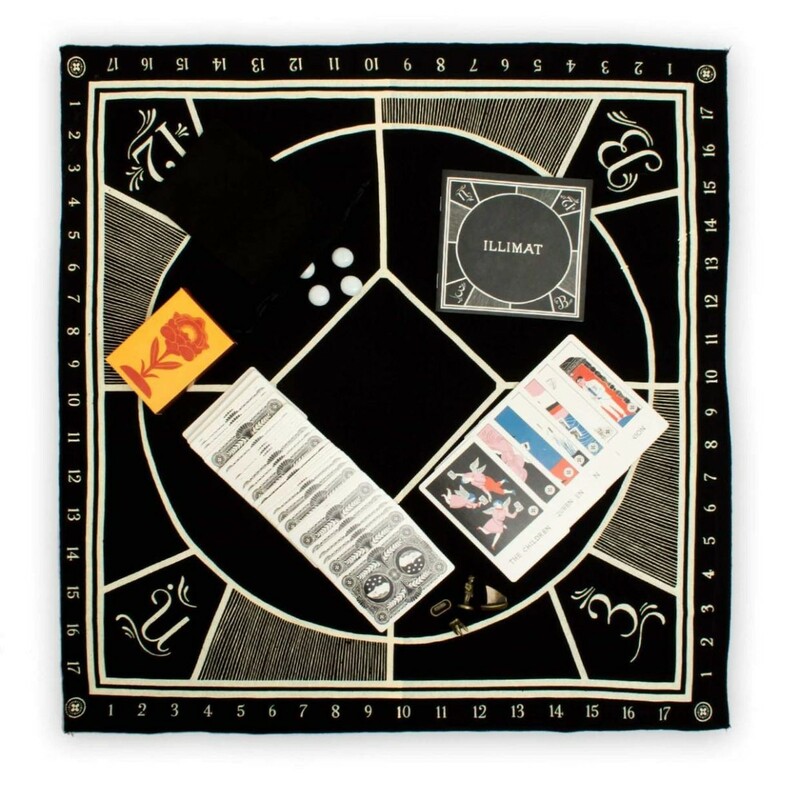 Illimat is a game for 2-4 players with the style and flavor of a classic card game with a dynamic twist. 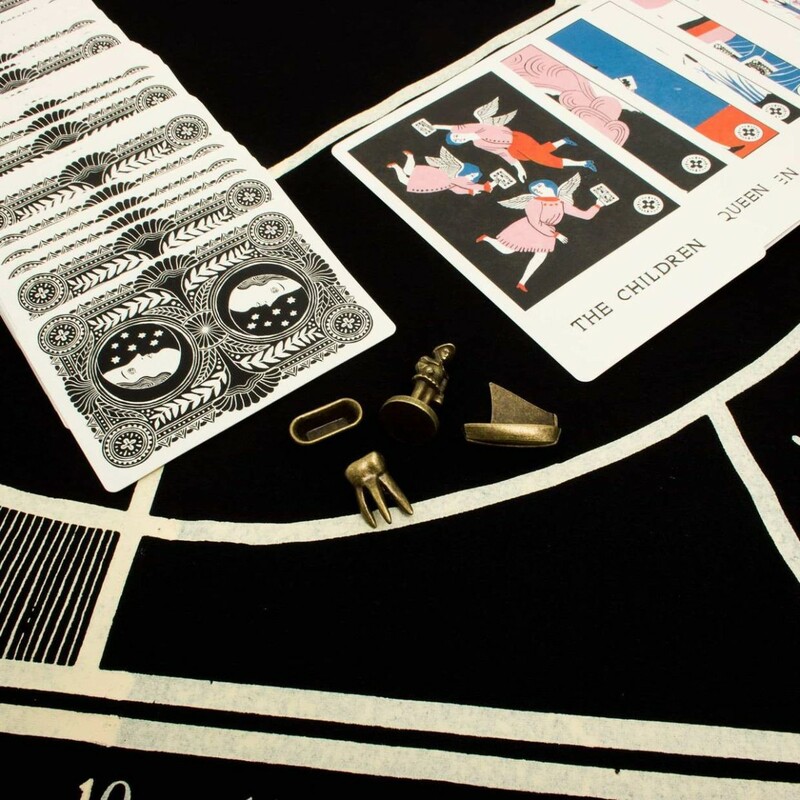 As you play, you combine cards and collect them trying to gather more than your opponents. 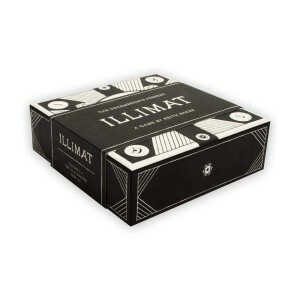 But hidden Luminaries and changing seasons can alter your plans. 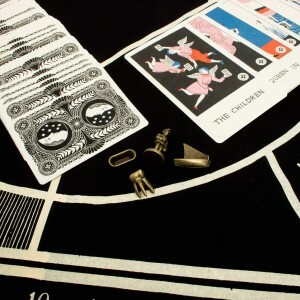 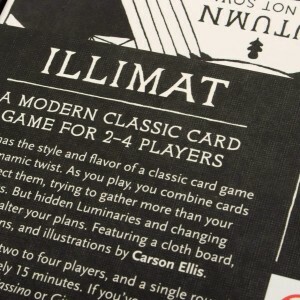 Illimat is beautifully illustrated by Carson Ellis and features heirloom quality components such as a cloth board, a five suited card deck, a cloth bag, and metal tokens. 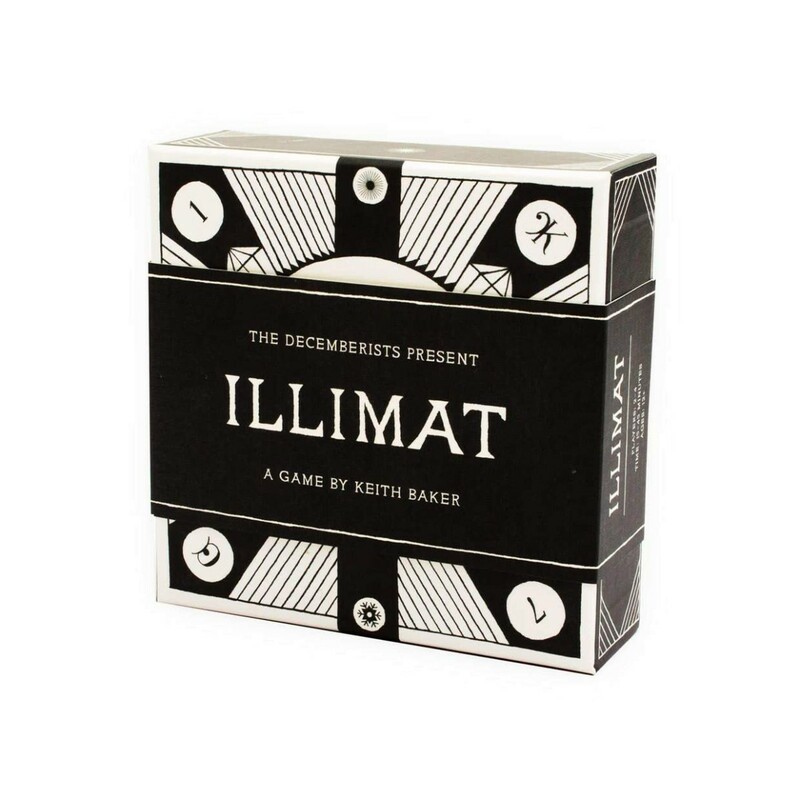 A single round of Illimat takes approximately 15 minutes. 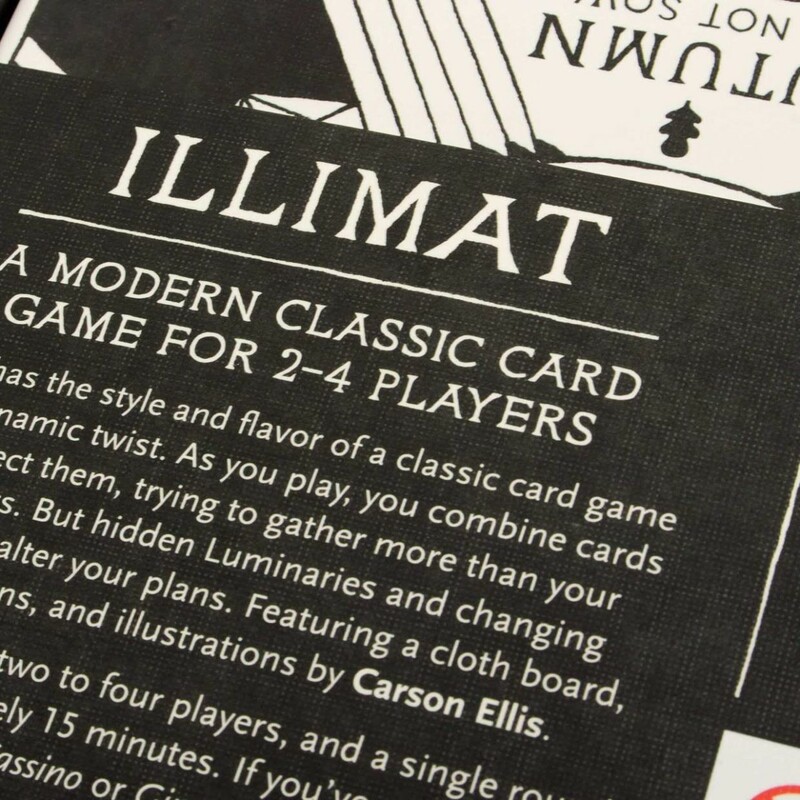 If you've ever enjoyed Hearts, Bridge, Cassion, or Gin, Illimat will feel both familiar and unlike anything you've ever played before.